KAMP Central: Meet Our Sponsors! This a list of our sponsors. We strive to keep this as up-to-date as possible. Please click here if you find an error or omission to help us our records accurate. We at S.A.T.H. 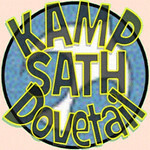 / KAMP Dovtail wish to thank the following companies, individuals and families for their generous support of our program. Because of sponsors, we are able to pass on their love and support to our many children and young adults. We kindly ask that you patronized the companies below that have been so kind to us and our campers! Click on the magnifying glass below each entry to see more about that sponsor. Again, a special thank you to all of our generous sponsors! Sponsor Since: Day 12345678910111213141516171819202122232425262728293031 Month JanuaryFebruaryMarchAprilMayJuneJulyAugustSeptemberOctoberNovemberDecember Year 197019711972197319741975197619771978197919801981198219831984198519861987198819891990199119921993199419951996199719981999200020012002200320042005200620072008200920102011201220132014201520162017201820192020 Include in search.